This was taken from on top of the Commodore Hotel in Cobh, looking back over the town. It seemed so amazingly apropos that I’ve never forgotten it. I mean, okay, yes, I was sixteen and dramatic, but still, I love that quote, and it’s one of the many thigns I love Dixon for, too. He also taught us (protesting mightily that he had done this long before Dead Poet’s Society) to get up on a desk or under a chair to get a different perspective on the world as photographers. It was to the photo lab I retreated on the incredibly rare occasions I cut class (not easy to do when your dad’s a teacher! ), and there are songs that to this day make me think of the scent and color of the darkroom (vice versa, too: those scents and colors bring particular music to mind.). In fact, the only song at the Aerosmith concert a few years ago that I wished they’d performed was Janie’s Got A Gun, for just that reason. A lovely picture. Clearly he was an excellent teacher. I love the sea and towns by the sea. Most of my adult life has been spent in places like that or near to: Crete, Helsinki, and now my island of Saaremaa. Truly lovely. I love the reasons for its worth. AND it's beautiful. Gorgeous. 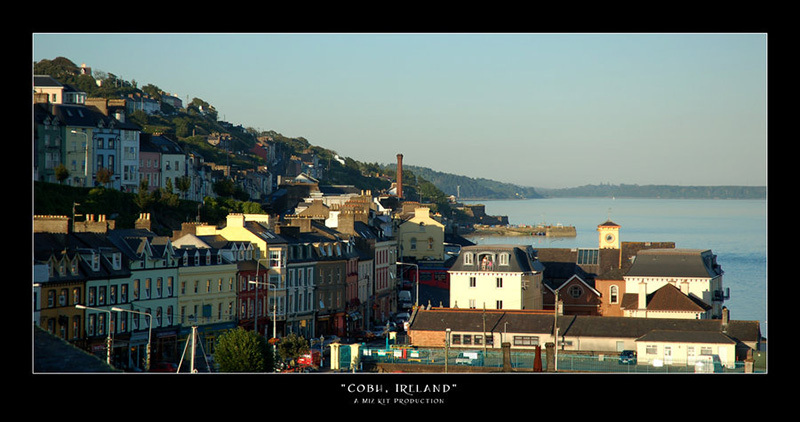 We recently saw a movie that featured Aidan Quinn and Conar McPherson and was set in Cobh. it was so breathtaking, we're actually planning a trip because of it. They should have called that movie "how to fall in love with Ireland" except it had some gruesome scares, so maybe not.